While the short tale about famous actor is itself a small historical record especially for him and one little Serbian village half an hour away from my current location, I have to say that this post is a little bit mistitled even though De Niro's story has several connected points with what I want to write today. Instead, it will be about my grandfather and his war stories I listened yesterday for the first time. Actually, my mother told me all this before, but yesterday, during our annual dinner, he was in a great mood to tell them himself and this is my attempt to write them down while they are still fresh in my memory. But, for a moment, let's get back to the title story. Not too long ago, I read in a newspaper article* about Robert De Niro and his European travels he did about 40 years ago, more or less in the time where I was about to be born. Back then, these kind of tourist destinations were extremely popular among young Americans - if you were young and adventurous you didn't need much money to visit most of the Europe traveling by foot and hitchhiking, meet local people, live their lives for a summer, get lots of experience and fill your memories. In case of a 25 years old actor in beginning of his carrier this probably has more importance than with other people. Well, unless young De Niro was on some mission of seeking his ancestors, this is exactly what he was doing back then in sixties when he ended up for a week or so in Čokot, neighboring village where my mother was born and where my grandfather still lives in his nineties enjoying life the same like he was much younger. Yesterday he visited our house for a small celebration and I took the chance and asked him whether this story was true and interpreted by the newspaper like it really was. To my surprise, he confirmed everything and also spiced it up with a fact that family where De Niro staid are actually our distant relatives living not so far away from my grandfather's house. He remembers the actor clearly as he helped them to collect some vegetables and accompanied them to free markets where they all have been selling tomatoes, pepper, cabbage and other food and vegetables. He said that De Niro in his short visits even picked up Serbian language a little and bonded with locals very well. Well, I am not going to spread this story any further, just like to add that after last night I admire him even more. 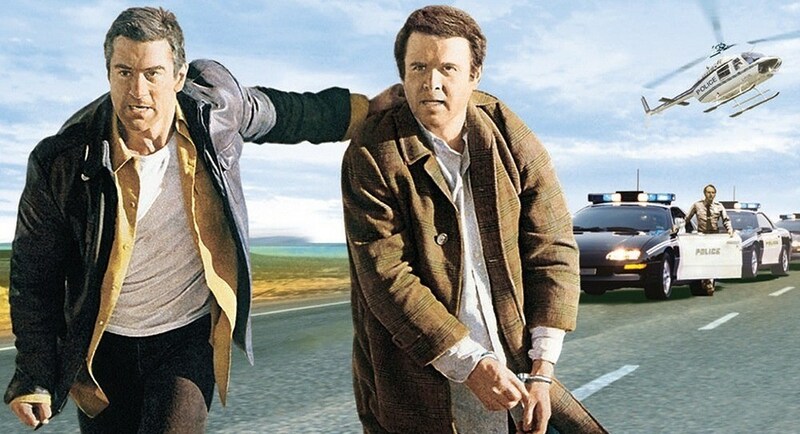 The other day I stumbled to midnight projection of his master piece "Midnight Run" and enjoyed the movie again for the umpteenth time. Ok, let's get to the history part and some half a century before De Niro's visits. Both of my grandfathers were about the same age when second world war happened. They both stumbled this part of time in their early twenties and experienced it very differently. My father's father at the time was in the army when Germans captured his whole unit and transferred them all into military camp in Germany. 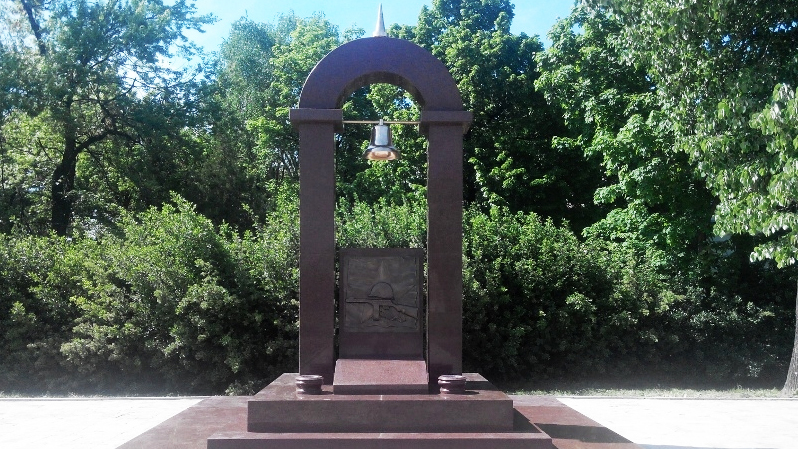 He was forced to do labor work the whole war there and I wrote a little about it in the post last year when we visited one of those camps here in Niš named Crveni Krst - Nazi Concentration Camp. I hate myself because I didn't write down his stories especially once, long ago when he eagerly told us all his adventures especially those in the days when the war was finally over and how he traveled back thousands of miles on foot along with thousands of people trying to cope and find their way home. Ironically, despite avoiding military fight during the war, my mother's father experienced it in occupied country and was faced with imminent death couple of times and not only by Nazis! Obviously he managed to went through it, otherwise this blog would be just another 404 page. Following are his war stories that shaped his personality more than even he is ready to admit. However, in order to even try to understand his behavior I feel like I need to add couple of history facts first. 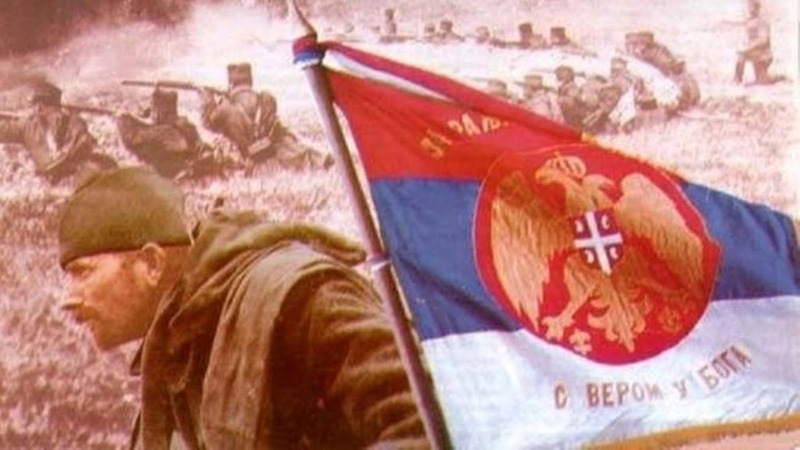 After first world war Serbia was kind of a pillar of new fresh country where Serbians, Croats and Slovenians joined and created first monarchy of Yugoslavia. The Kingdom of Yugoslavia was formed in 1918 and exterminated by communism after second war. Serbian monarchy inherited it and it was ruled by king Peter I and later by his son Alexander I. Despite being doomed to imminent collapse, due to vast amount of differences, the kingdom actually was pretty respectful in those days Europe for its part in first world war and many battles in southern front, especially in Macedonian Greece. My grand-grand father took big part in this war and was in the same lines with king himself during their winter retreat at the beginning of the war. That was one of the most horrifying moments in Serbian violent history of wars but after many months and years of coping with invasion of German, Austro-Hungarian and Bulgarian armies at the end our exiled army survived and returned to the battle by forming, to be proved later, long lasting alliance with French and British divisions allowing them to finally move toward the end of Austro-Hungarian empire and the very end of first great war in Europe. However, even though Serbian royal period between two wars flourished in rise of democracy, free thought, educational and civil rights my grandfather didn't like it at all. When I asked him why, he told me just one story from his youth describing maybe even better how old fashion tails from 19th century was still there opposing all the progress happening especially in big cities. In the fall of 1935, after finishing elementary education in his village he was so eager to move to big city and start gymnasium - the best high school possible at the time (the same one I spent three years in my teenage days, 50 years later). Yesterday, I swear that I saw sparkle of a tear in his eyes when he was remembering how brutal was a man from the school who literary kick him out of the school to the street saying that he is not welcome simply because he came from village with big country estate and his place is not in the school but rather his part in this country was only in the field doing hard labor in cultivation of food. If you were a woman, it was even worse, there was only one school in entire city encouraging young girls toward further education but quality of given education there was questionable and not comparable to gymnasium. My grandfather's disappointment rose even more later when he realized that living in the village had no benefits at all. All food manufacturers were in mercy of greedy bargainers and dealers without any fair market or developed economics in the system. The villagers were simply second class citizens. Later, in the dawn of II World war things were getting even worse. The rise of communism thought brought initially from Spain and their civil war and also from the east and first communist country established in Russia, polarized people in Serbia to the bone. The German occupation 1941-1944 not only gave our grand fathers another wave of German and Bulgarian armies but also a full civil war between royalists and communists and their resistant movements. It was next to impossible to cope with all that if you were just 17 years old boy like my grandfather was. I asked him what was his most painful experience from that time and in next half an hour he opened his heart and told us everything his young soul had to do in order to survive and with occasional wiping tear or two from his left eye I finally learned how he eventually grew into strong father figure and local community leader. Like today, back then Niš was one of the biggest cities in former kingdom and as such was targeted by allies and their air force from time to time. Being just couple of miles away from main German command, Čokot was natural point in air defense so they spread heavy artillery in the fields in order to defend from allies' planes. One of them was settled in the yard where today is my grandfather's house. German soldiers slept in a nearby shack on, at the time state of the art, air beds and shared local life with villagers. 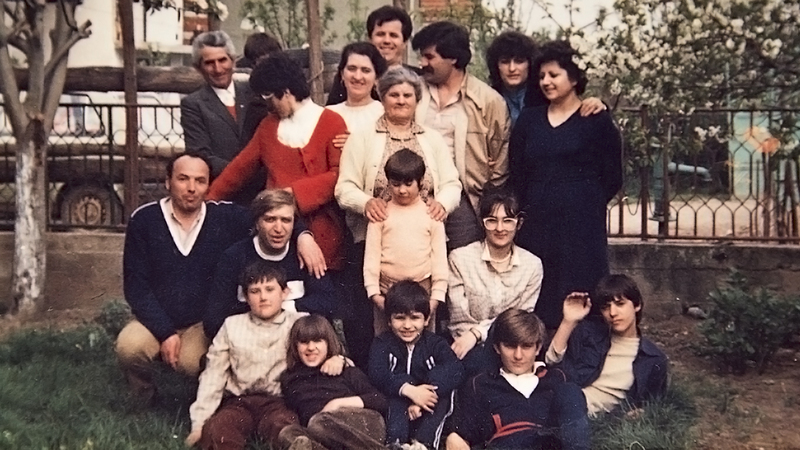 According to my grandfather comparing to Bulgarians that came later they were all civilized men and paid for all the food they need. Also, there was one more important target in the village and that was the national railway passing by from its way from the north toward Greece to the south and Germans used it very often for deploying tanks and heavy vehicles and armory to the south fronts and even further to the northern Africa. The local resistance were using that fact to stop the convoys and demolish the rails every now and again when they got informed of some important train passing by. In lack of people, for some tactical revenue and to better protect it, Germans deployed young boys down the line in order to alert the army of possible attacks. During one night in 1942, my grandfather was one of them and only by chance he avoided death as only couple of hundreds of meters to the north resistance took action and in result whole train derailed that night. Germans killed on site all deployed boys along the line in retaliation. 1942 was especially cruel as this was the year where fighting started to be more intense, the captives from the local Nazi camp performed prison break that year and it seemed that German command started to take resistance more seriously. Unfortunately, civil war also became more intense and royalists, people who were basically leftovers from dismantled Serbian army, and communist movement started to fight each other with same or even worse cruelty comparing to all German's and Bulgarian's occupation and their retaliations performed against both civilians and the resistance. Those years was the dark side of the whole second world war in this neighborhood. Faced by the fact that he almost lost his life, my grandfather chose to go low profile and continue cultivation labor with his father, going to the field, seeding crops, collecting food and trying to live normal life. It turned out that during the war this was not really possible. Even on the field they had that one experience where they just barely escaped and saved their lives when resistance started bombarding German army from the neighboring hill. When they came back tomorrow, the sight was scary, blood and dead bodies were everywhere. I can only imagine how scenes like that leave permanent mark to any witnesses especially among young people and children. Anyway, in later years, the war started to fading out and the winner and looser could be easily recognized. Communist resistance won their fight with royalists and Germans started evacuating and leaving space for the chaos in last years of the war. Like Germans before, communists saw the potential in all young boys in their early twenties and recruited them for the time that eventually came after the Germans officially withdrew. The young boys living in villages were easy target, they were already bitter and disappointed in royal democracy before the war and many of them saw their chance to get more important role in new society. Once again my grandfather was in mortal danger and this time from upcoming communists. They were cruel. Even more than occupation armies. Especially toward those who was labeled as a threat for what they had in mind. In a moment I thought I saw fear in my grandfather's eyes when he told us what happened in the fall of 1945. In order to justify the full dismantle of royal family and democracy they organized a census. You can only imagine how elections were back then with no help of modern technology and no mass media to explain both sides. There were two wooden boxes, one to support royal democracy and the other to support communism for future state government. There were also rubber balls you have to put in one of those two boxes. You voted in a way that you had to put your hand in both boxes and leave the ball in one. Needless to say, official results showed all the royal boxes pretty much empty. Sadly, the truth was completely different, at least in the voting point where my grandfather was appointed as a monitoring agent. The voting day was coming to the end and my grandfather and his peer associate started to fill some anxiety and fear of the final result. They chose to vote at the end of the day and when they pulled the hand out of both boxes it was more than obvious that royal box was full of balls while communists scored almost nothing inside. They already received threats from the headquarters before the census and what they did is maybe something you do only when you are faced with the most horrifying future. Instinctively, hour before closing, they locked the door, broke the seals and moved all 'royal' balls into communist's box. Then they re-opened the voting again. The last remaining hour brought dozens of now balls into royal's box but the 'official' results, more than 95% went to the new regime. Two things happened tomorrow. My grandfather learned that most of other box keepers in neighboring villages were killed on site for the full royal boxes, accused for fraud and persecuted without any trials. Second thing he realized was that he not only again kept his head on his shoulders but he was also commended and later become a mayor of his village responsible for all big decisions mostly by following orders from the 'above'. The birth of the communism in post-war time, gave birth to the upcoming cold war between Soviets with their socialist allies and western countries. At the end of this war my grandfather witnessed air-bombing the city not only by the Germans but also by allies as well, even after Nazi retreated. And even one real air fight that lasted pretty much about half an hour or so. In November of 1944. just about four weeks after Germans retreated from the city, over the western parts of the city of Niš and not far from the Čokot suburbia, happened perhaps one of the first US-USSR air 'encounters' and, as it seems, this one was one of the real and severe air fights with significant losses on both sides. In short, US fighters attacked Russian convoy and killed many soviet troops including their general who were progressing toward the north front. Soviet planes soon after attacked US fleet in retaliation and in the aftermath Americans was forced to apologize in an official manner on the highest level. At least that is official story. The main participants were US Lockheed P-38 Lightning and Soviet Yakovlev Yak-3. 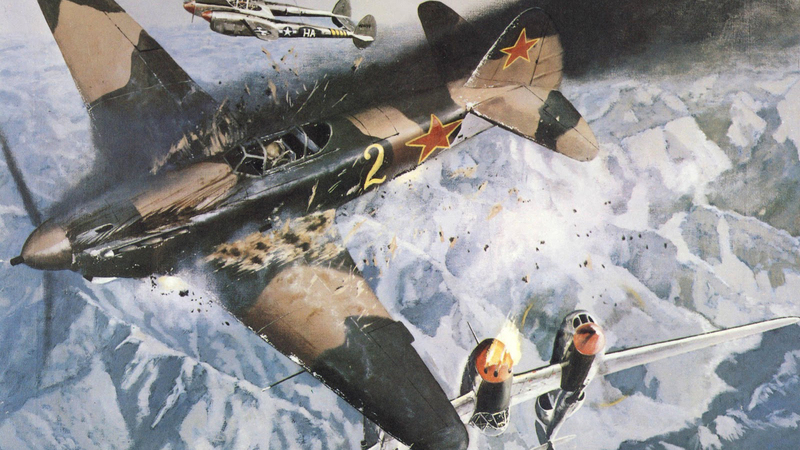 According to one eye-witness and I am quoting Wikipedia article, you can find referenced, 'Soviet fighters flew over the old city fortress at an altitude of only 20m and attacked the Lightnings from below in a steep climb'. The final number of fallen crafts and deaths varies according to who you are asking, Americans, Russians or Serbian witnesses from the ground, but they all agree that it ended in more than ugly result with multiple aircraft fallen to the ground. The worst statements was that up to ten fighters ended in flames and crushed. The rest is the modern history of 20th century. Communism lasted much longer than anybody anticipated and the reason is no doubt nuclear based cold war with strong roots originated right there in world war two. My grandfather was more or less satisfied with new government. He recognized all its flaws and good sides but from his point of view especially thanks to those decades of prosperity back in 60s and 70s and the fact that common villagers treated better than in royal times he enjoyed half a century in peace without any conflicts and wars. The only conflict he had in those times was in fact that he was truly religious person and religion of any kind was major nemesis in all communism societies. Even though he never hid his religious personality he managed to deal with this duality in his life during all communist era. Despite all the obstacles in the way he even managed to play all the way and re-build a small church in the village without being punished or suffered any major consequences by 'comrades in headquarters'. We can only try to understand those violent times and how blood, animosities, war and death can affect children, especially those who spent all their teenage years in dark shadows of our history books. Yesterday, by wiping the final tear, my grandfather finished his tales with this words: "Every night when I lie down in the bed in my dark room there are only two of us, me and the god and I always pray that I made good decisions before." R.I.P. Radovan Lazić, September 21st, 2015.